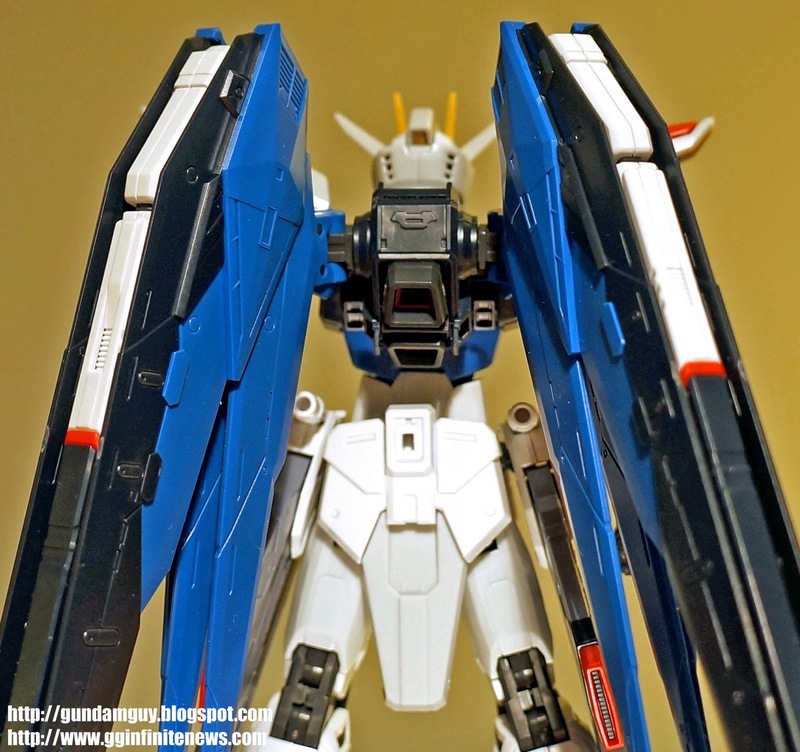 AHA - Yorukaze 夜風: 144: Plamo - Review: Parades of Freedom?! 144: Plamo - Review: Parades of Freedom?! 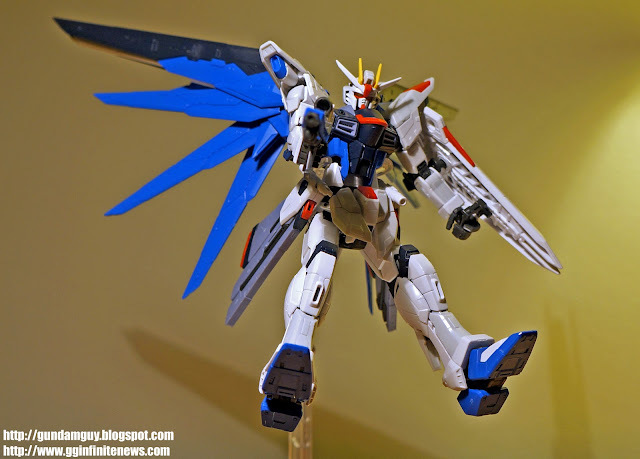 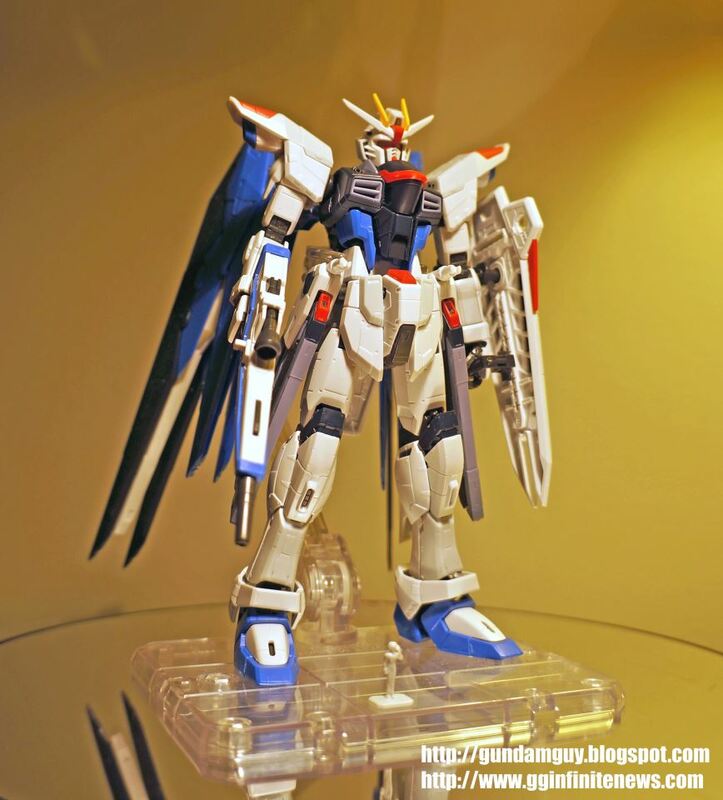 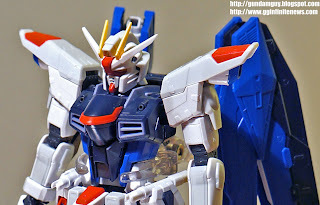 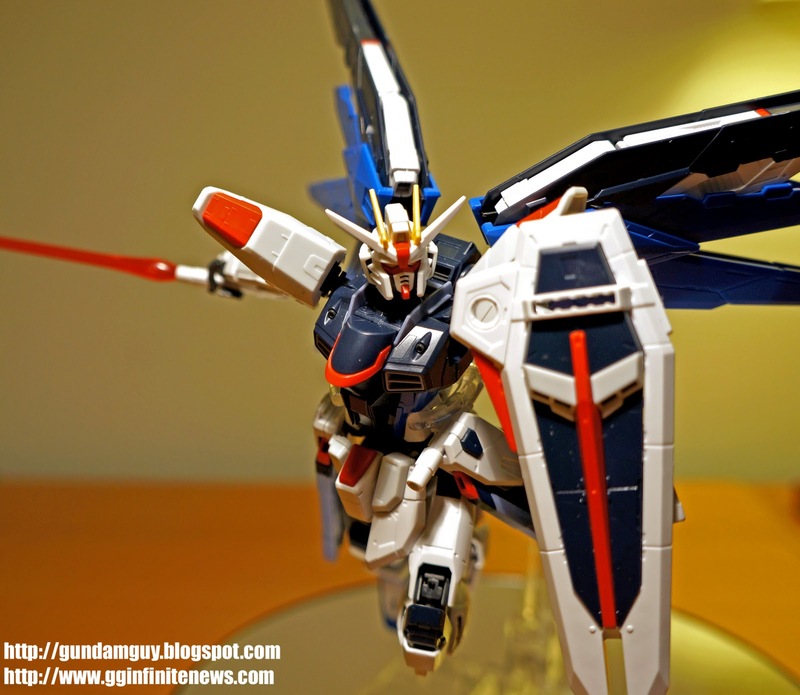 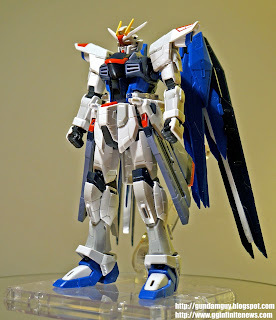 I’ve caught a bad cold.. so I stayed home and took a little time to take some images of the my straight build RG 1/144 Freedom Gundam which is being released in Japan today. 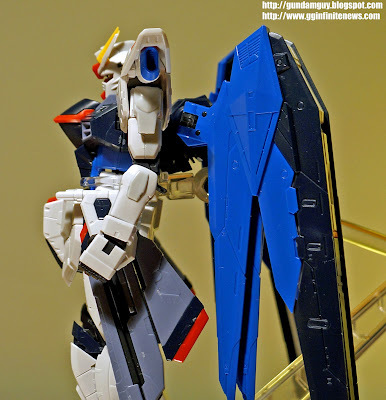 So Instead of a wordy review, I will just let the images do most of the talking, and provide my thoughts here and there about this latest RG release. 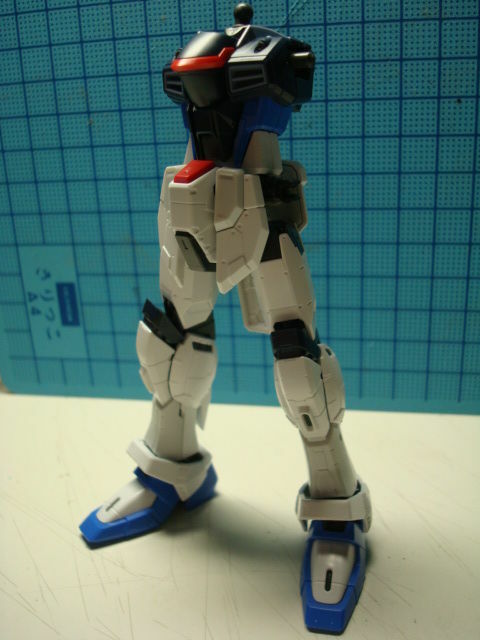 After I finished assembling the kit and playing around with it a bit, I must say that this is the first RG kits that felt sturdy, and not as flimsy as the previous 4 RGs. 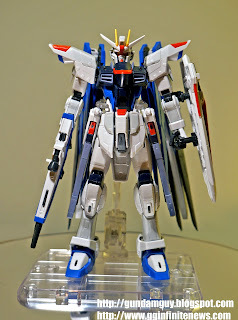 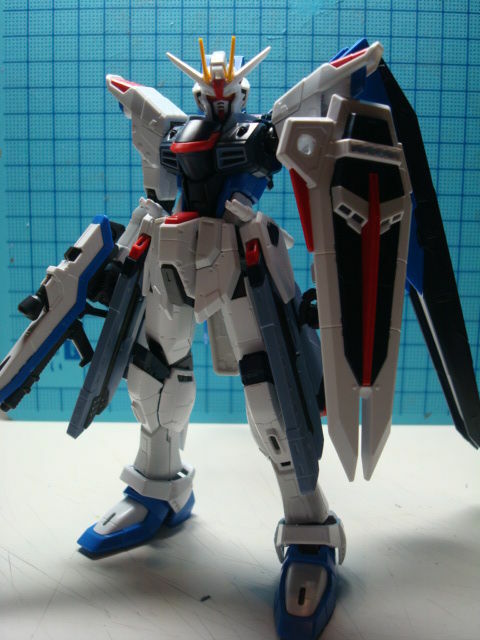 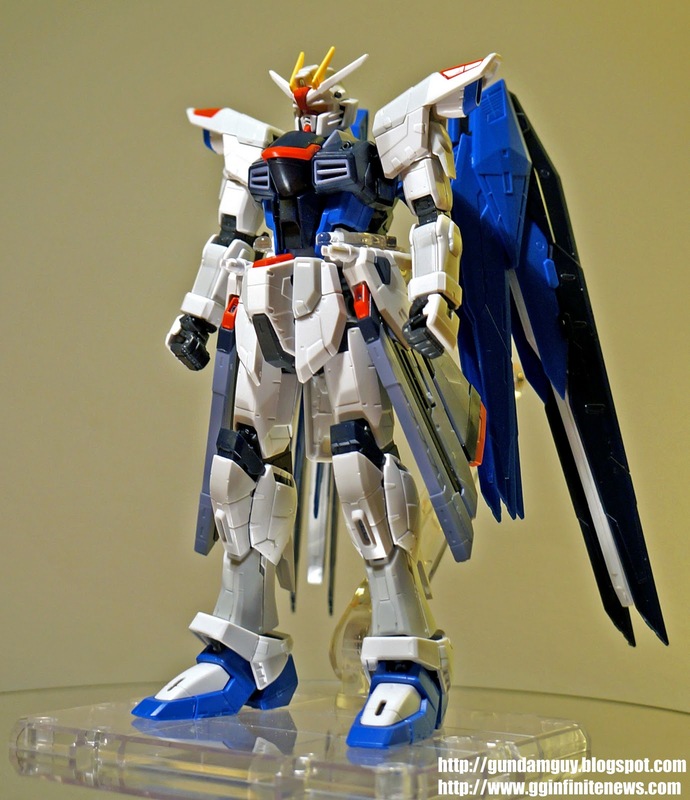 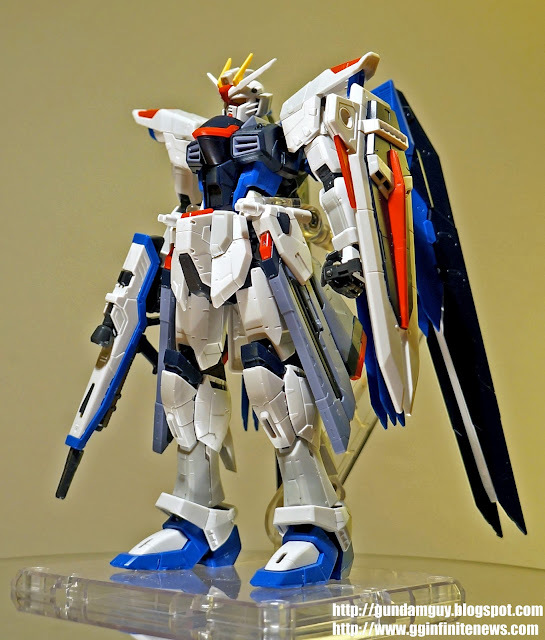 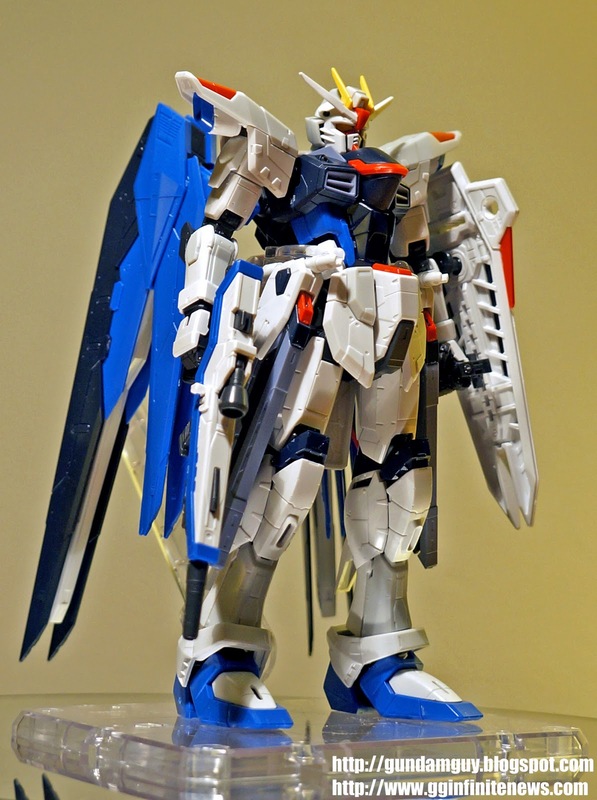 I can play around with the RG Freedom by doing various poses and the kit holds up nicely with hardly any parts fell off (well, maybe the wing did fall off 1 or 2 times), but still the overall build is very solid. 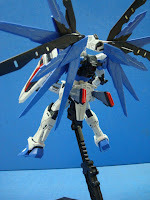 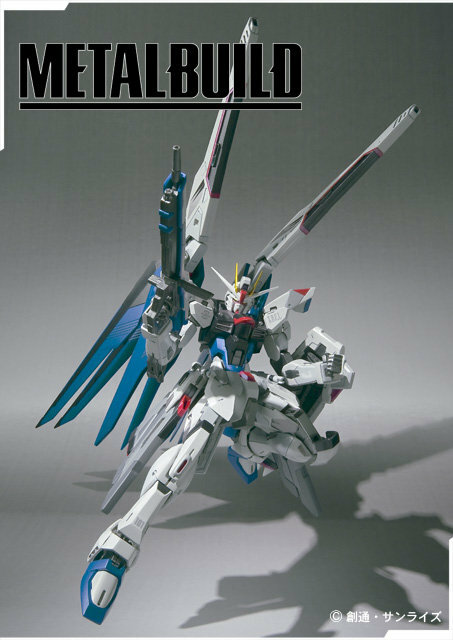 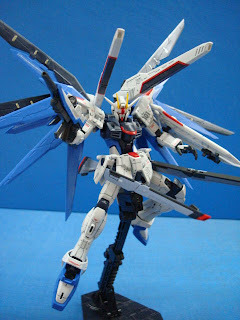 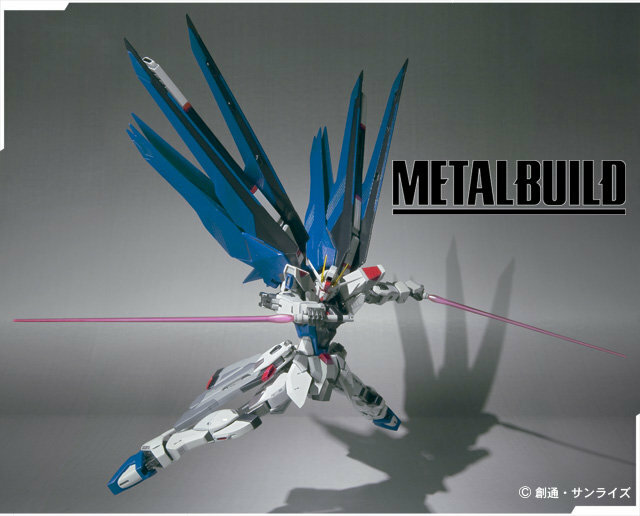 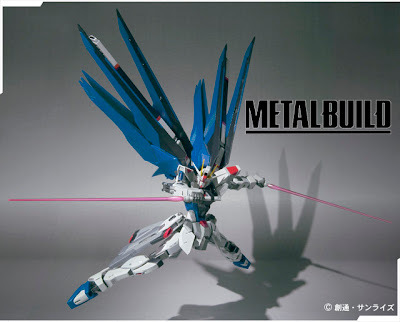 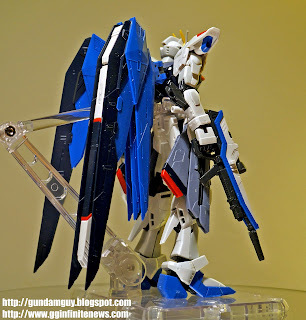 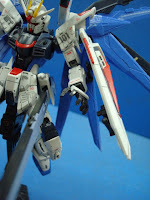 Probably the only minor negative for this kit is that the wings have a serious weight issue, the kit cannot stand on its own with the wings attached. 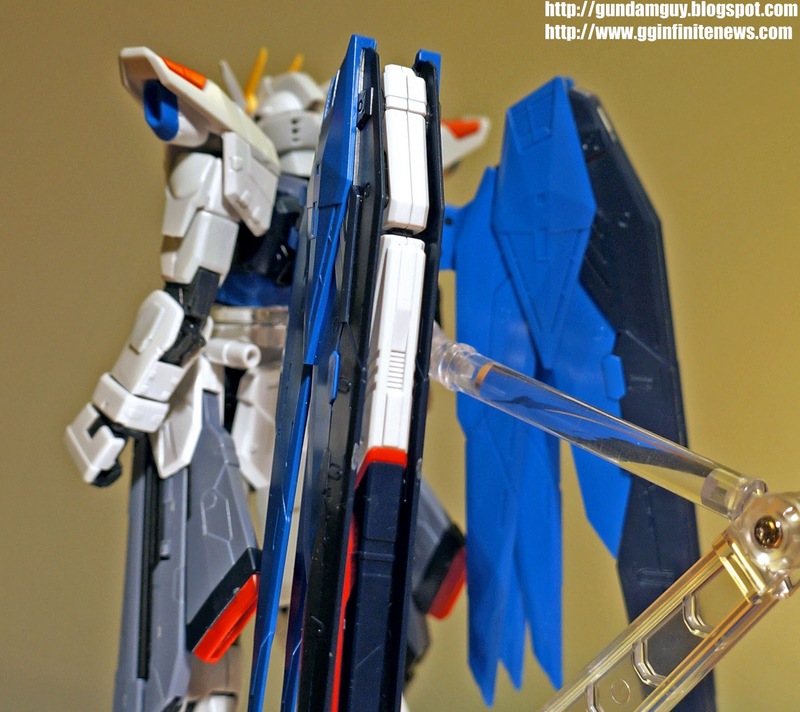 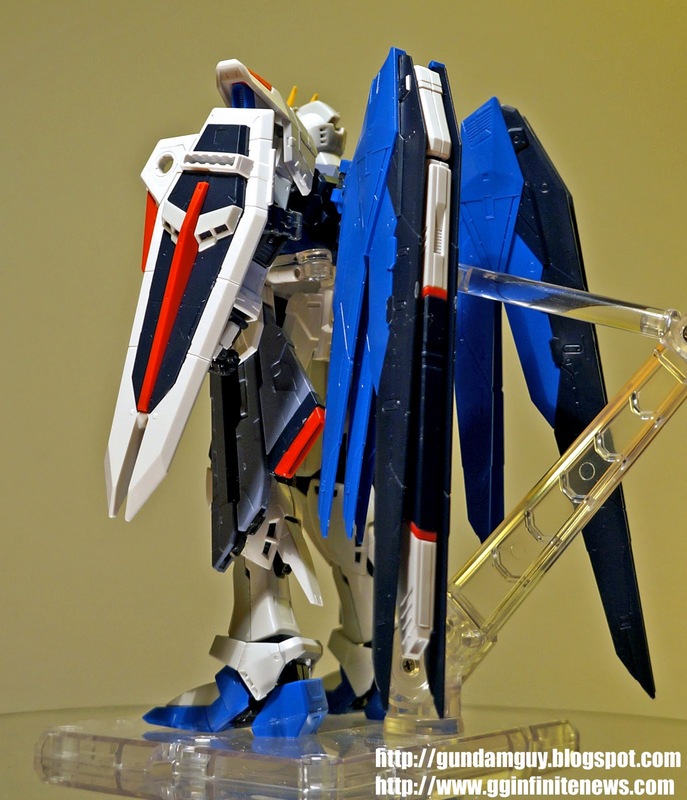 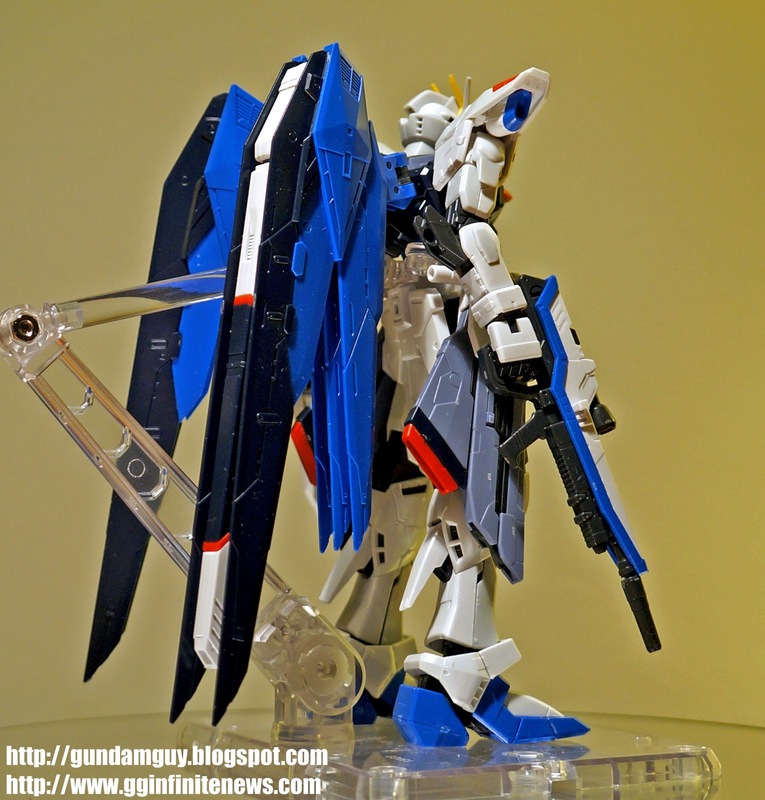 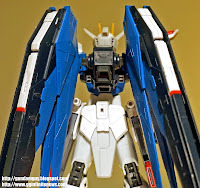 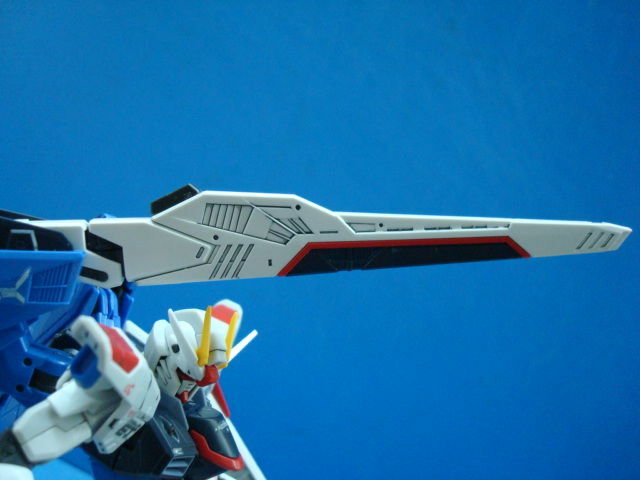 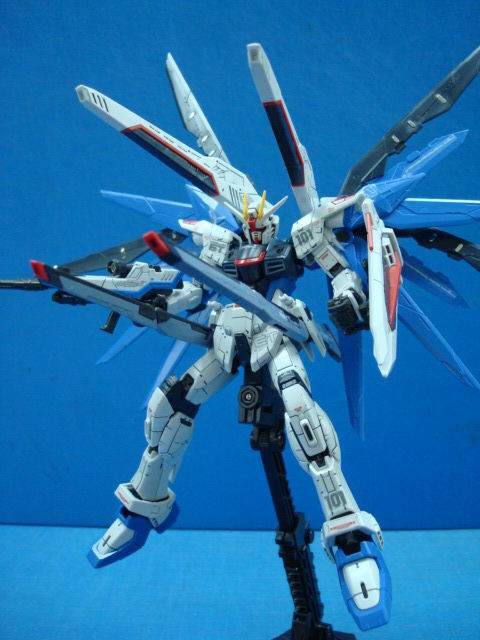 The RG Aile Stike barely got by standing on its own with a wide leg stance, but the RG Freedom’s wing is so much more heavier even the upper torso get dragged backwards over time. I used a Tamashii Stand Act 4 to support the upper torso for display, and I think it is definitely better than using an Action Base. 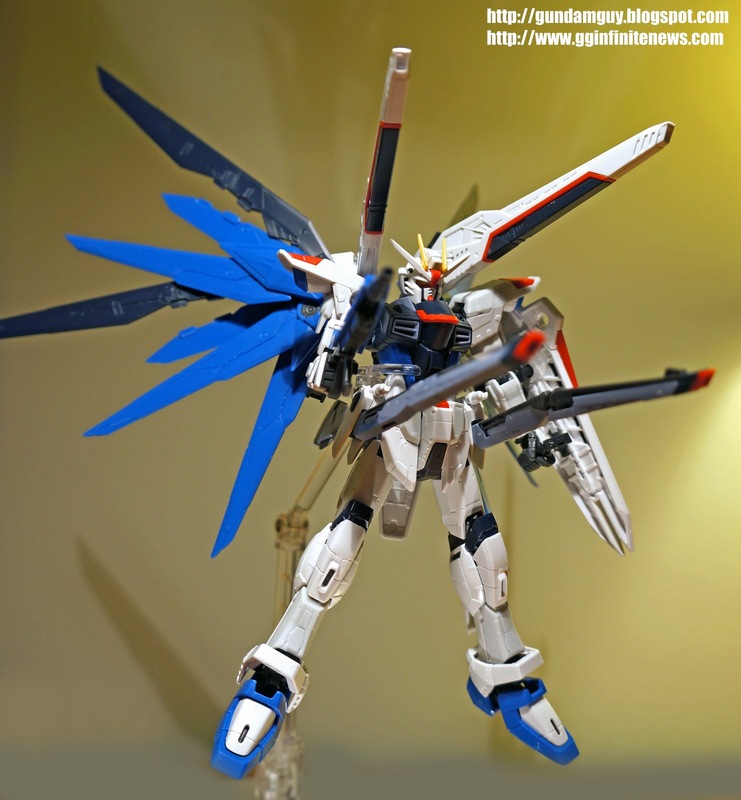 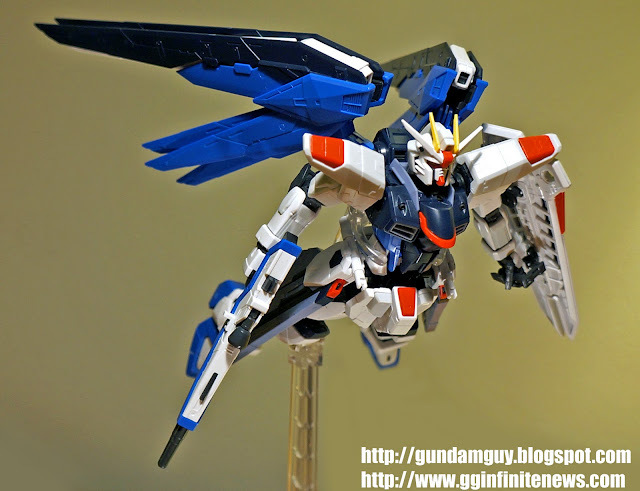 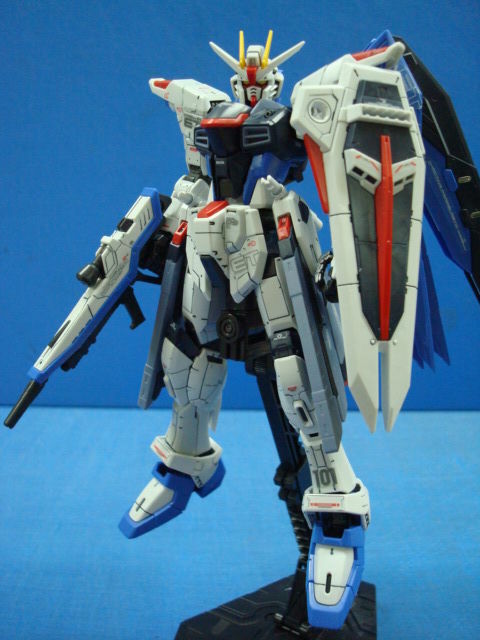 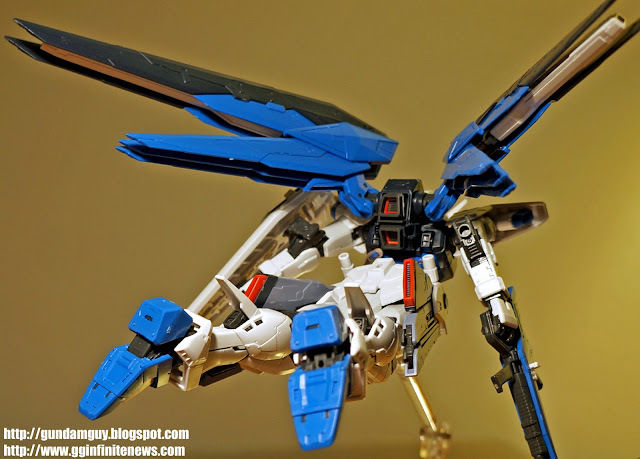 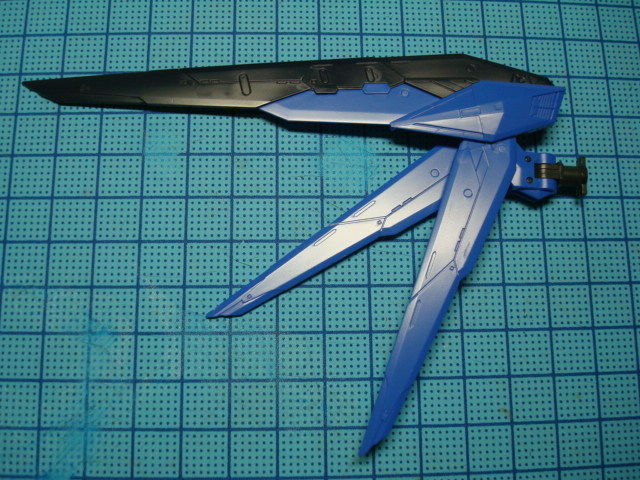 But I guess the weight issue is expected from most winged mobile suit gunplas… so no biggie. Another minor negative about the wings is that when you play around with it (moving the wings a lot), the wing could become loosen and wing plates might fall off. 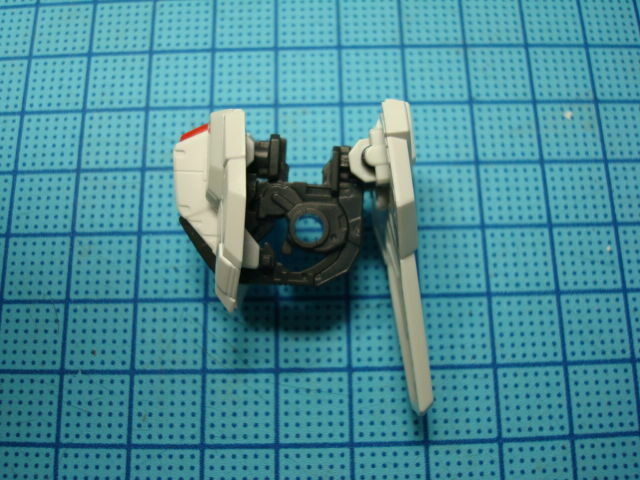 But this rarely happened. 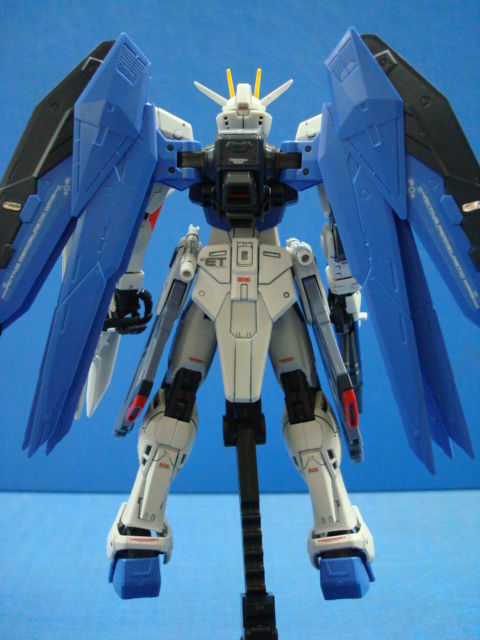 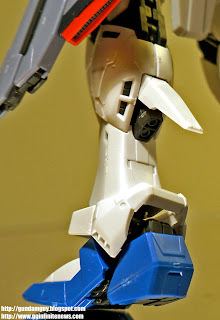 The infamous problem that plagued the early RGs were the weak connectivity for the waist skirts. 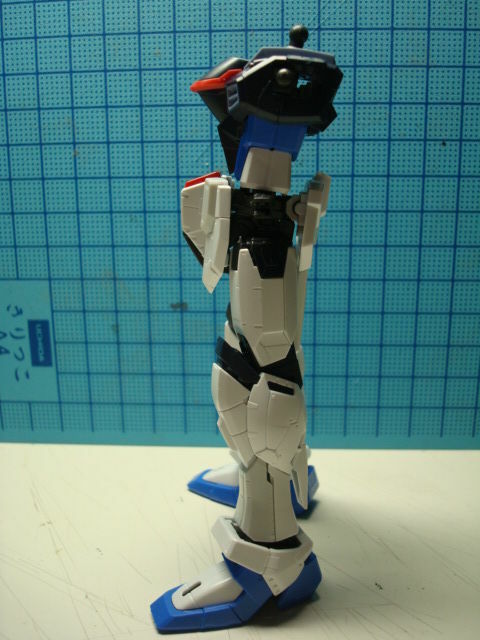 They pop out when you touch / trying to do various leg poses. 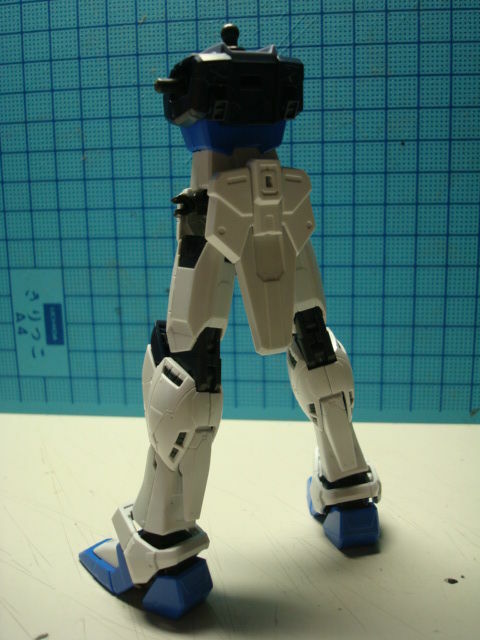 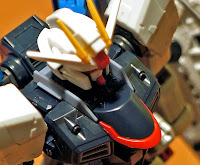 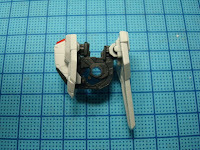 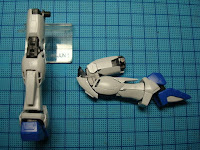 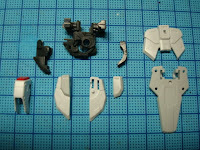 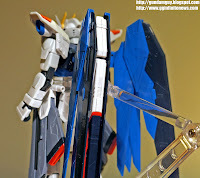 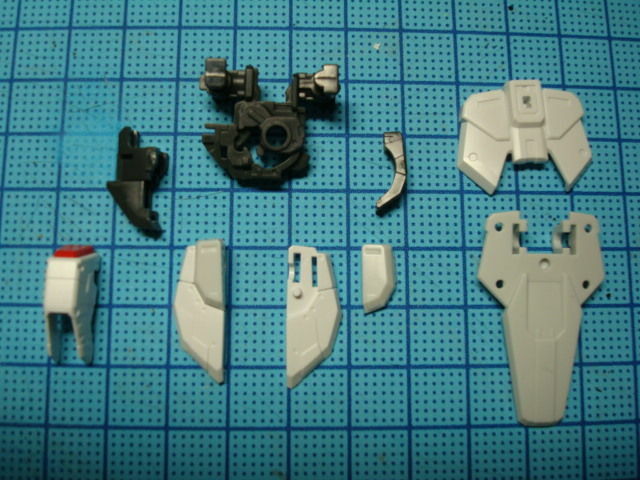 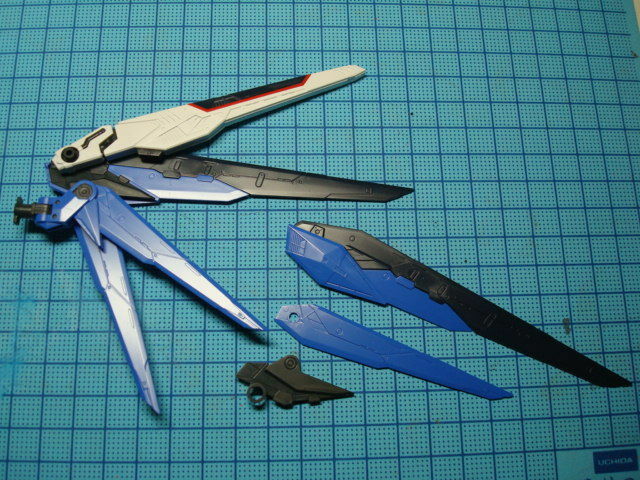 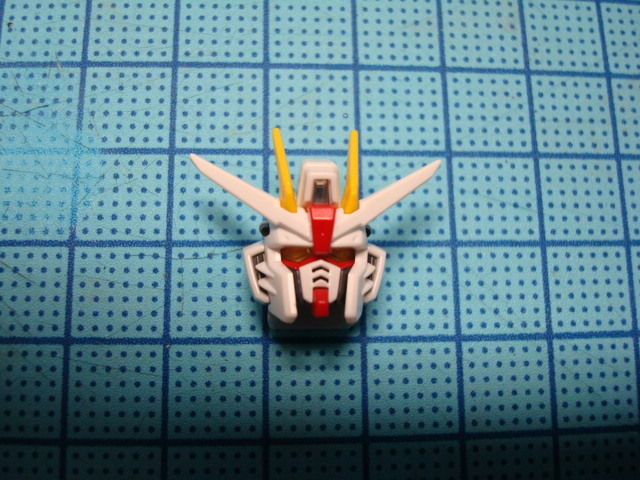 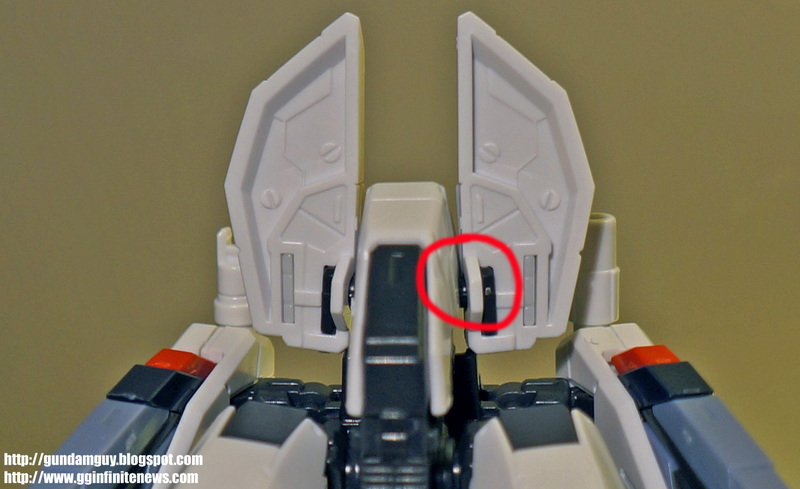 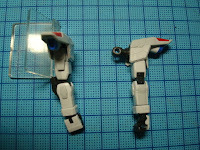 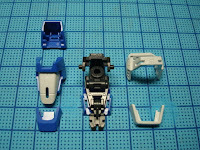 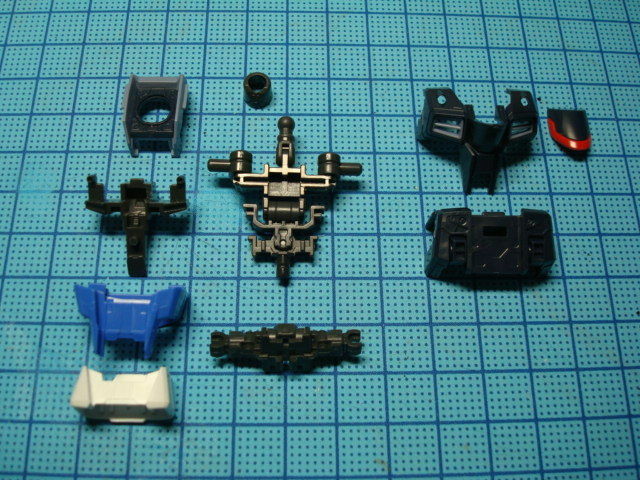 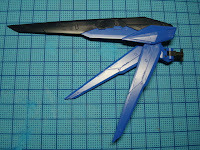 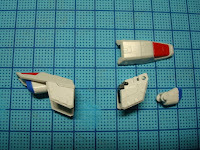 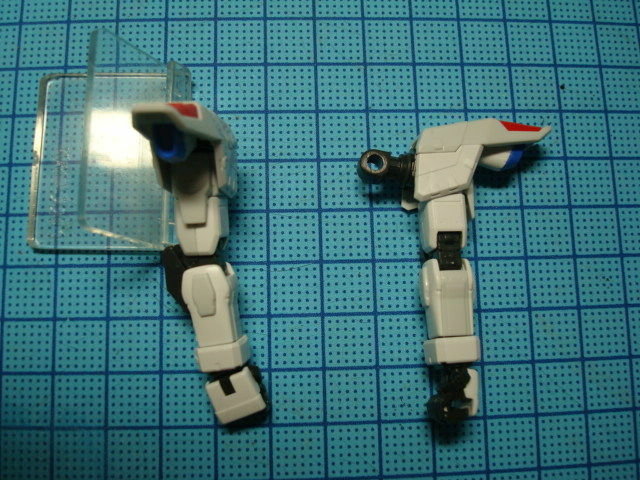 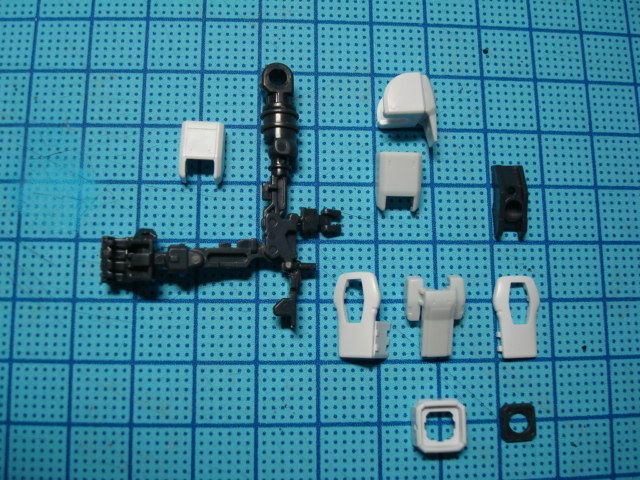 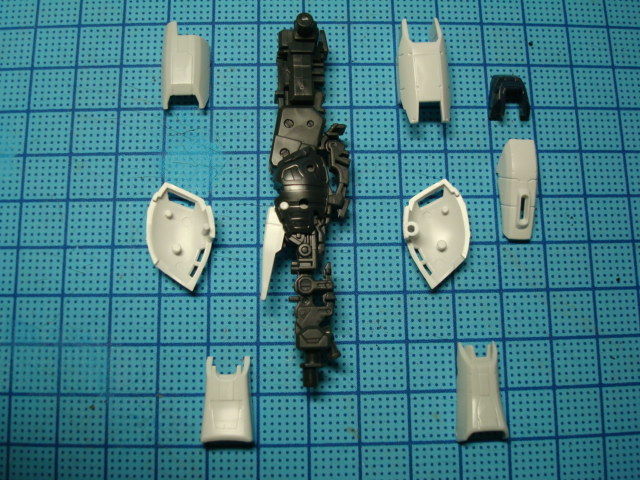 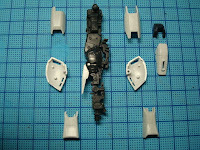 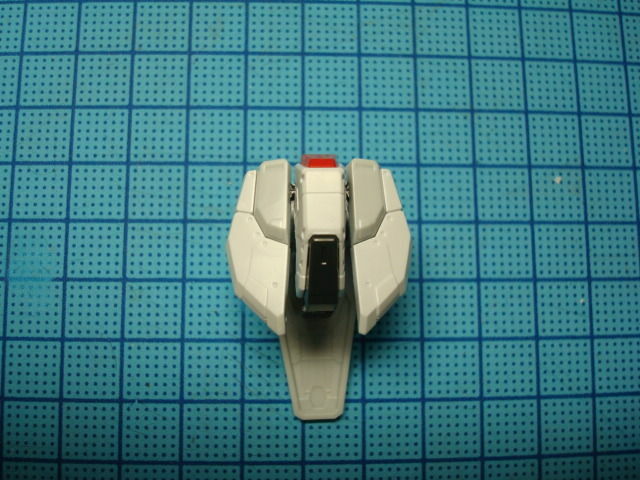 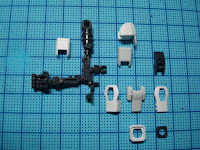 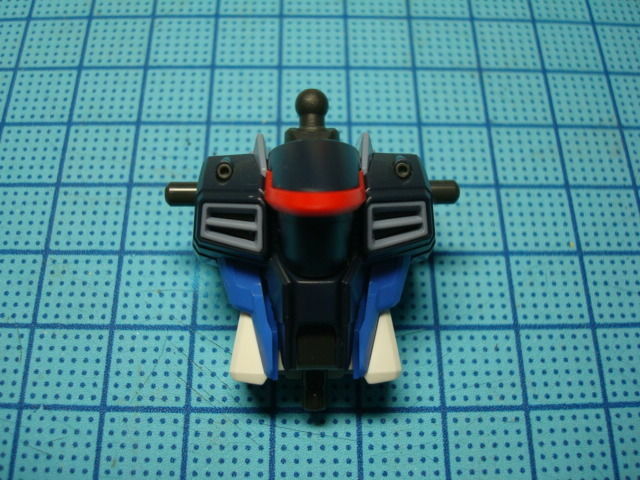 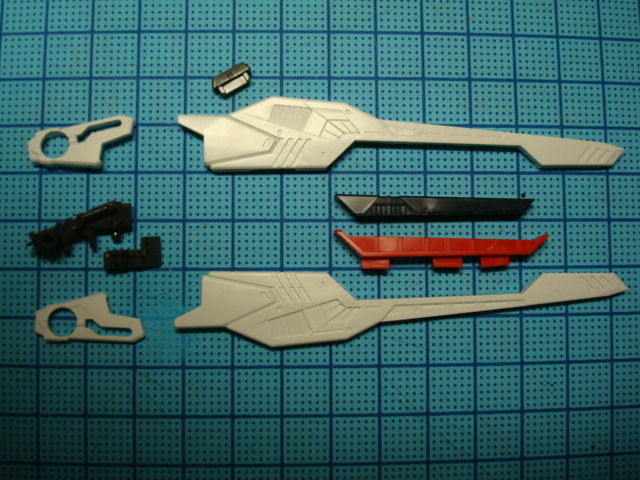 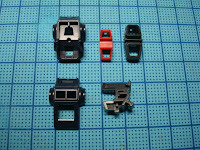 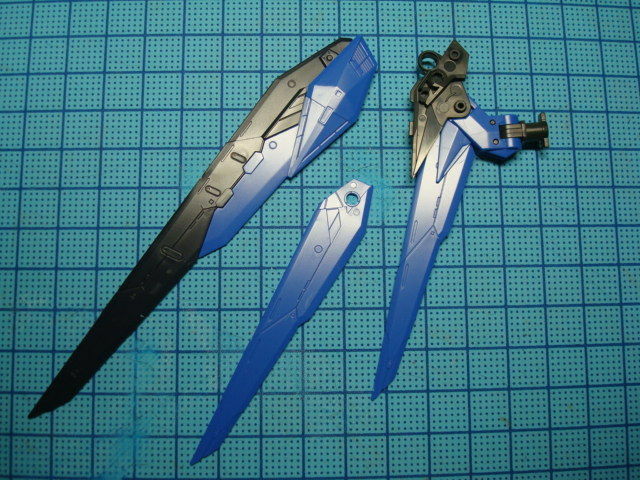 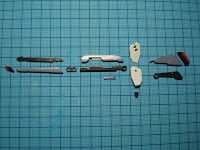 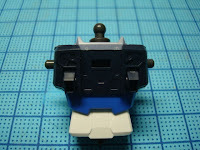 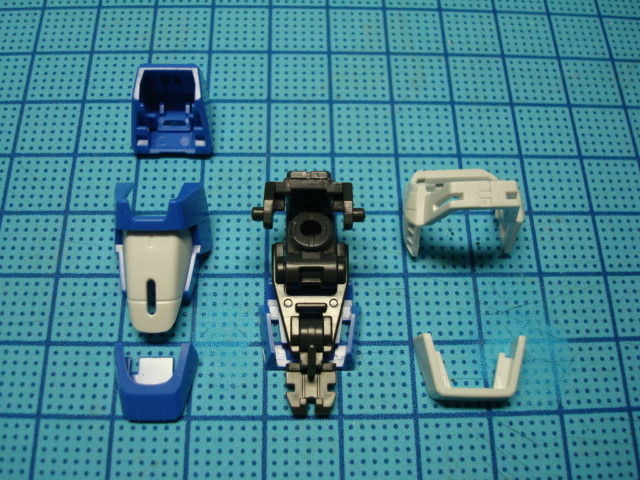 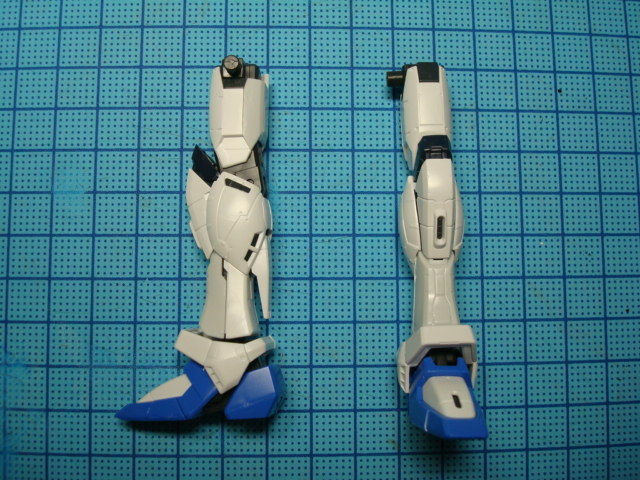 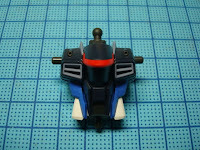 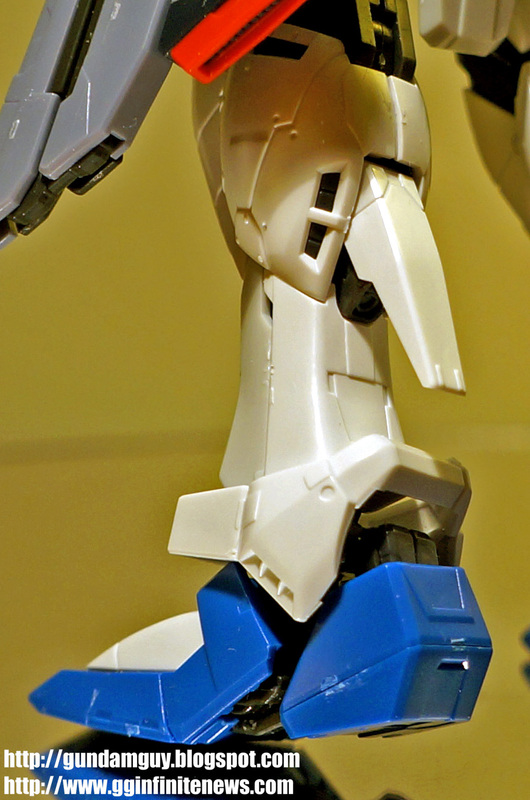 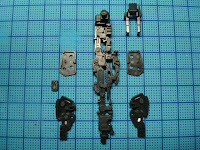 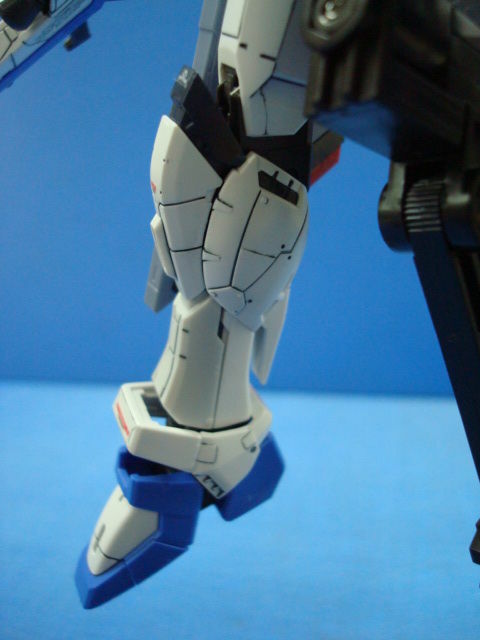 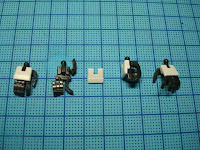 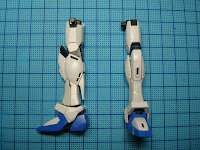 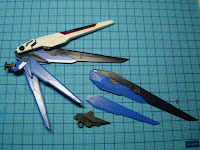 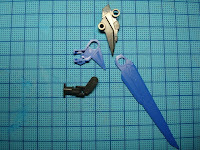 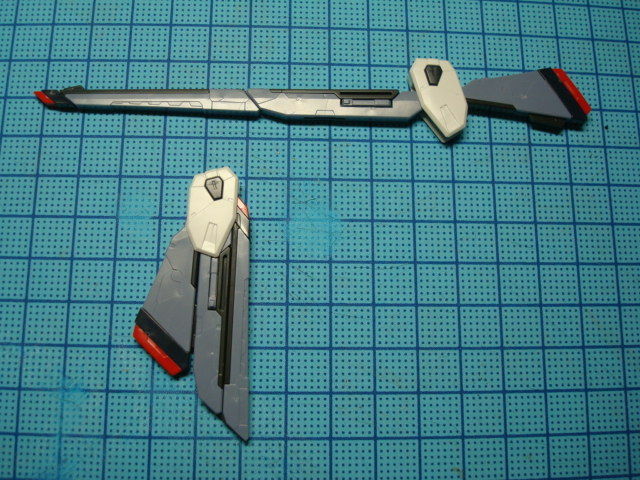 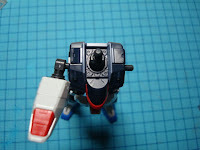 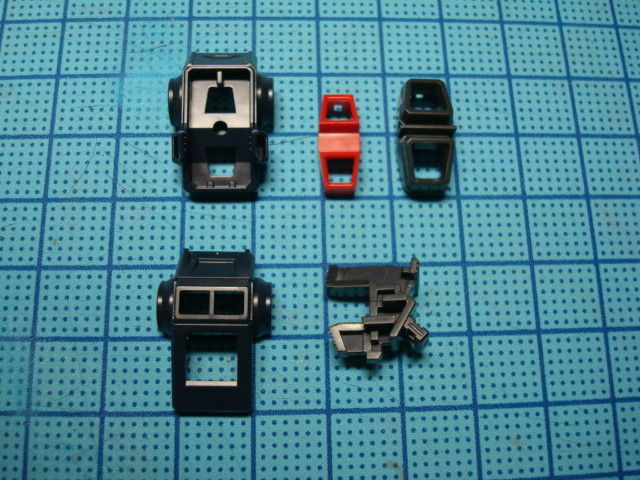 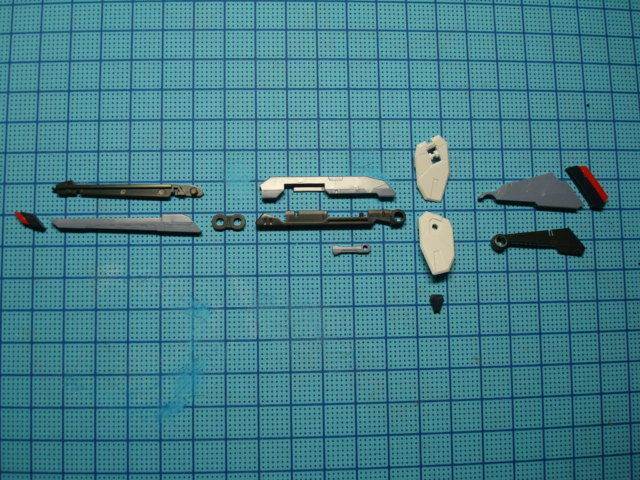 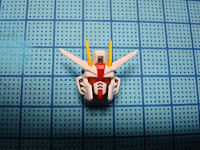 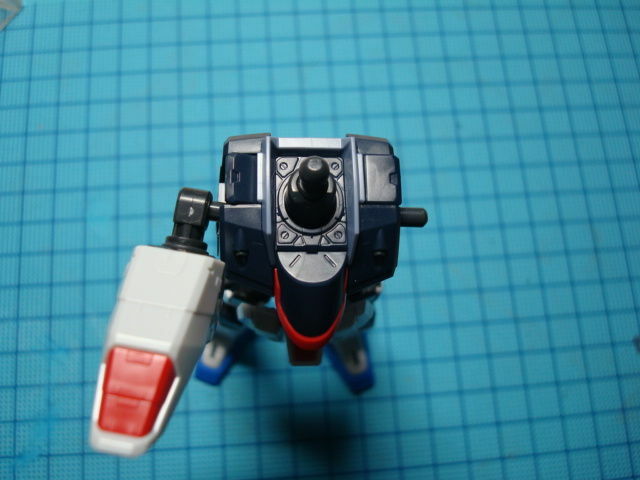 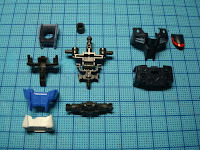 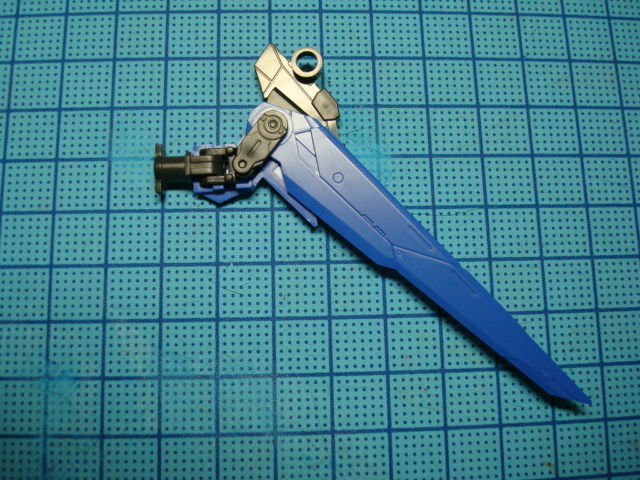 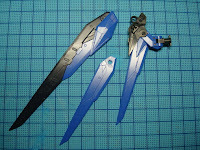 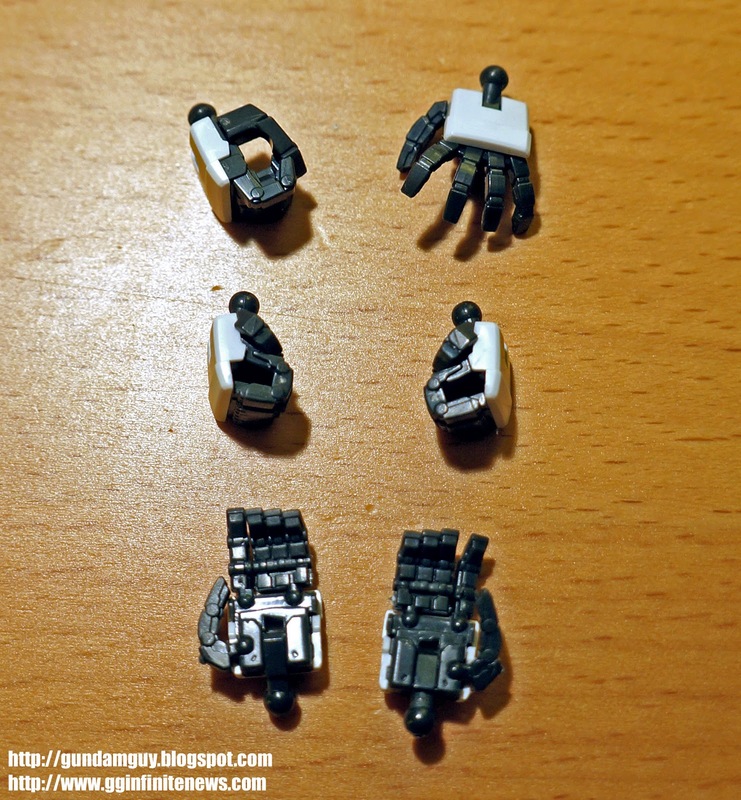 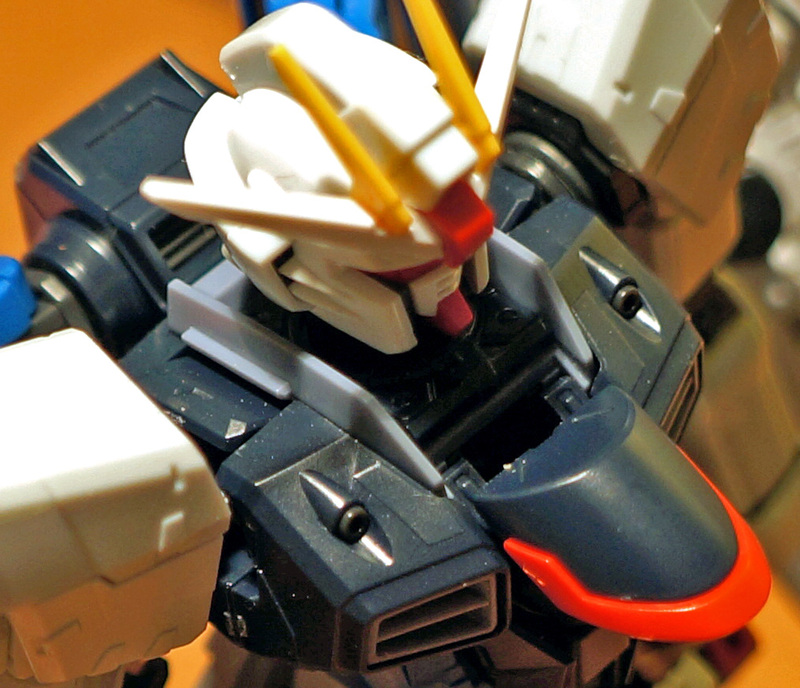 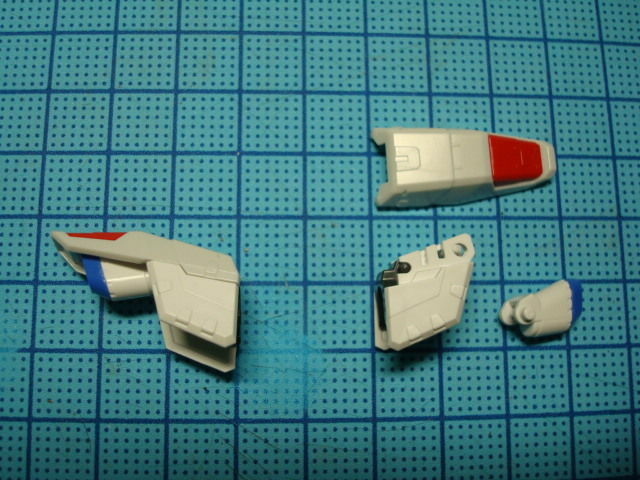 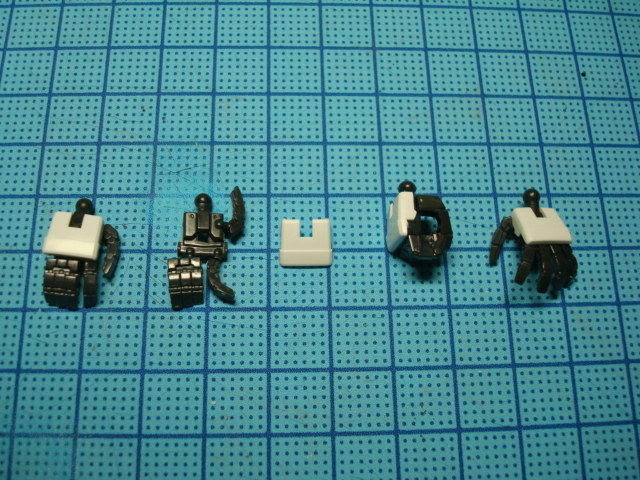 This time the joints that connects with the waist skirts are actually part of the lower torso inner frame, so they cannot be detach easily. 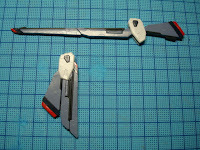 And the result are very solid waist skirts and I didn’t have any problems of them falling off at all. 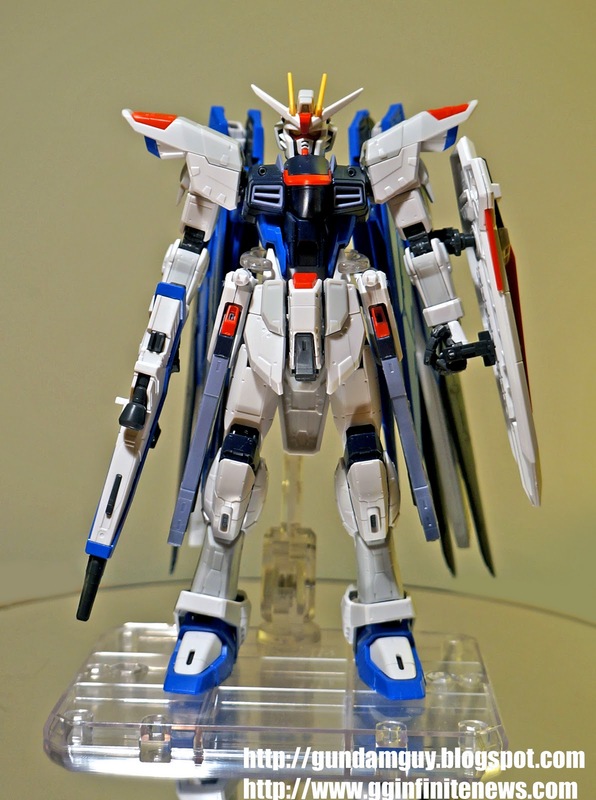 Is a nice evolution for the RG series. 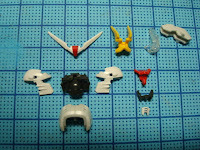 Is really good of Bandai to give provide a total of 6 manipulators. 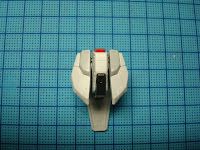 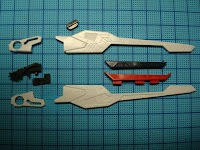 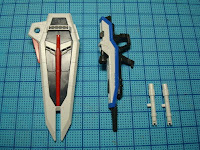 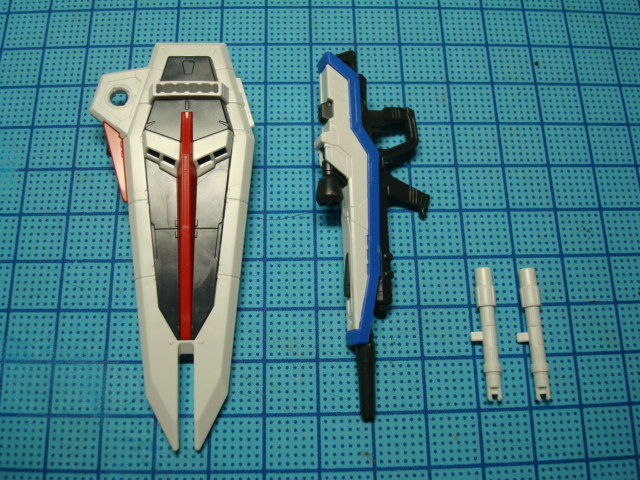 The manipulator seen below (top left) is dedicated for holding the beam rifle (and the beam saber). 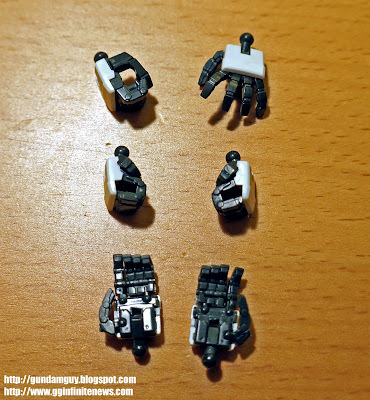 There are also 1 opened palm hand, 2 closed fists, and 2 hands w/ movable fingers. This is definitely a step up for the RG series, as I recalled the frustration I had with the RG Aile Strike’s manipulators having the beam rifle / beam saber falling off all the time. 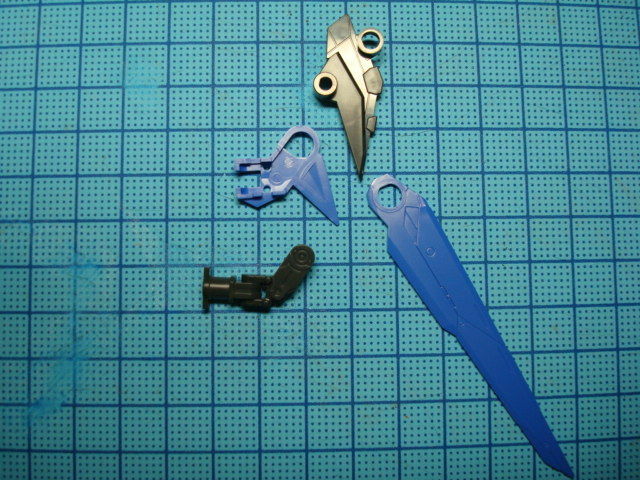 Now, we can have solid manipulators that are not pretentious. 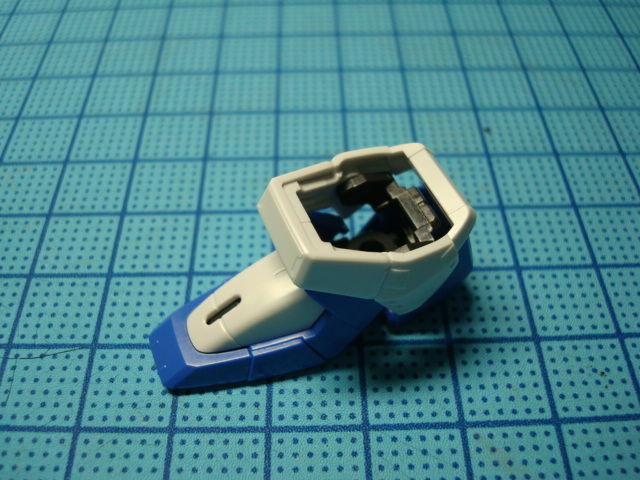 Another nice gimmick is the booster cover that can be lifted up. 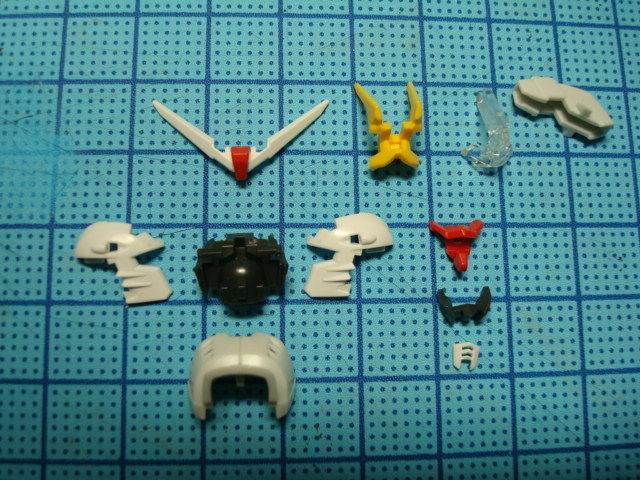 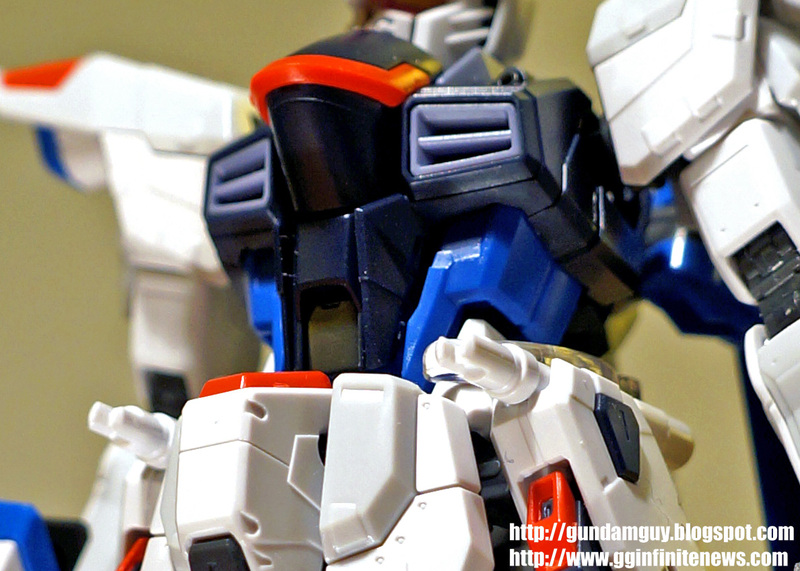 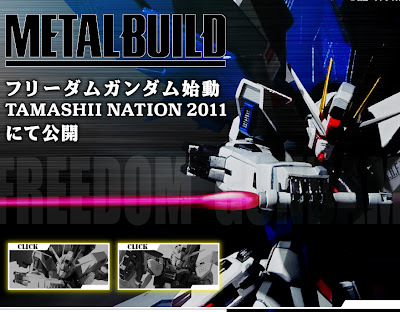 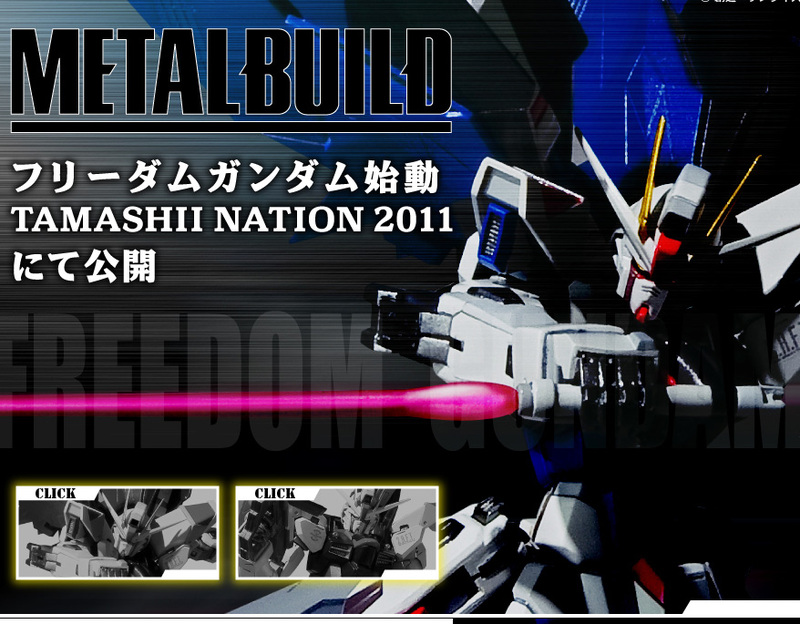 Includes a 1/144 Kira Yamato figure holding his helmet on his shoulder. Too bad the kit didn’t come with a sitting Kira figure to be used in the cockpit.